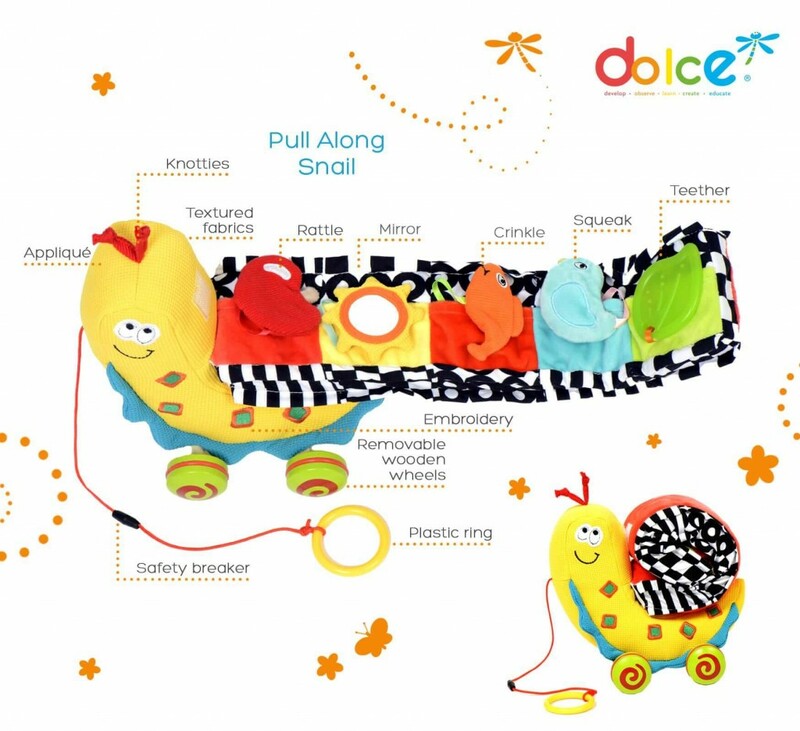 Scientifically tested and approved by educational experts, this fun toy provokes learning through self-discovery and parental guidance. The snail is attached to a string in order to encourage walking from an early age. There is a squeaker, teether, rattle and mirror on each section of the shell. 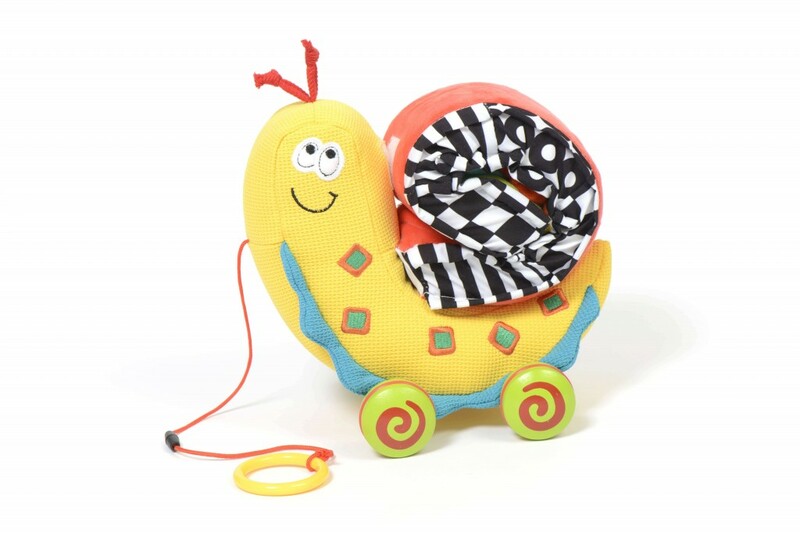 • Sounds: Children will delight in creating sounds through using the squeakers and rattle. 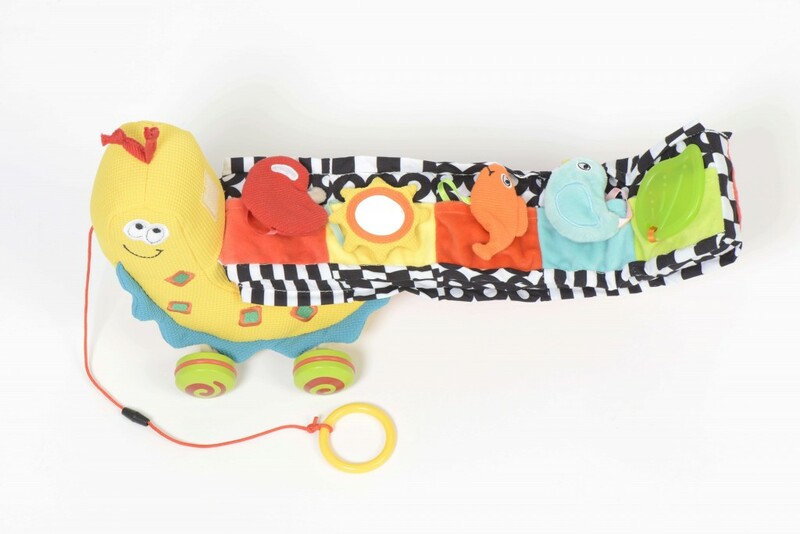 • Helps to connect motor skills with auditory learning by squeaking and taking for walks. • Facial Recognition: The mirrors help children to develop an understanding of reflections from a young age. • Non – Toxic (Formaldehyde Free, BPA Free).